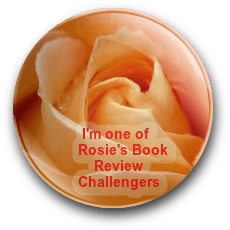 Please allow me some shameless self-promotion. 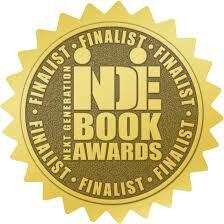 So – back in January, my publisher said he was entering Sarah in the Next Generation Indie Book Awards. Needless to say, I was very shocked, honored, and appreciative that he even felt my book had a snowball’s chance. 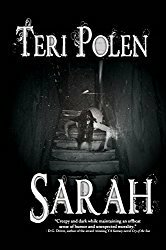 Here we are nearly 6 months later and I received word earlier this month that Sarah was named a finalist in the horror category! In other news – Sarah is now available in audiobook at Audible. I’ve only listened to the sample so far, but the narrator, Dennis Maulden, does an amazing job. It’s kind of surreal to hear these characters speak after having lived with them in my head for so long! I’ll be leaving on vacation this weekend, so if you don’t hear from me, know that I’ll be in my happy place on the beach with books, an umbrella, and a full cooler. After a long weekend filled with a graduation ceremony, two parties at my house, and several teenage house guests, I’m thinking one week won’t be enough recovery time. Congratulations, Teri 🙂 Best of luck! Teri, that’s wonderful news! Congratulations! Thanks, Staci – I hope you also got some rest – or at least some quiet. It deserves it. YOU deserve it. Thanks, Lilyn – you’re making me blush. Congratulations!! Bets of luck. Have a wonderful break. Thanks so much, Darlene – REALLY looking forward to vacation. Sorry about the typo. It should be best of luck. But I think you knew what I meant! I didn’t even notice until you mentioned it. Congrats, Teri – that’s great news! Thanks, John – both surprising and wonderful. Congratulations. Hope you enjoy yourself as much as I did on your getaway. Thanks, Craig! Hoping for good weather – but I can still read on the balcony overlooking the beach if I really have to – almost as good, right? Congratulations Teri. Best of luck on the award. And perfect timing with your vacation. Celebrate and relax! Thanks, Mae! Uber awesome just made my list of favorite words. Thanks, Sarah! And I’m soooo looking forward to vacation. BTW – voted for your blog. Congratulations Teri! That is great news! Enjoy your vacation, you deserve it. Thanks, Connie – the beach is definitely calling! Thanks, Victoria – it was definitely unexpected! I’m so sorry to be so late to this… WordPress (and life in general, but WP especially) has made it impossible for me to keep up. I need to make a matrix of all my favorite bloggers, so that I can make a schedule… Can you tell that I’m really ticked off at WP? I’m so happy to see this. Happy weekend hugs. Thanks so much, Teagan! Yes – I was reading about your WP struggles and completely understand. Hugs!